For over 30 years, Professor Kim Janda and her colleagues at the Scripps Research Institute have been trying to create an enzyme that can destroy nicotine before it reaches the brain. And now their recently-released study analyzes an enzyme that could be beneficial to helping people quit smoking. Nicotine is the main reason why cigarettes are addictive. Enzymes, among other roles, are chemicals the body uses to help digest food. The idea is that by creating an enzyme to “eat” nicotine in the body before it reaches the brain, the addictive effect of cigarettes can be reduced and smokers will have an easier time quitting. Ironically, the enzyme—named NicA2—was discovered in a bacteria found in a tobacco field. Once the NicA2 enzyme was identified, the next step was to see if it could be used for a therapeutic treatment. In a lab test, NicA2 was given to mice that had been given the equivalent of one cigarette’s worth of nicotine. It was found that in the NicA2 mice, the half-life of the nicotine (the amount of time it takes for half the chemical to break down) was nine to 15 minutes. Normally, the half-life is two to three hours. By adjusting the dose of the enzyme and adding further modifications, Janda believes the time can be reduced further. This is important since the purpose of the therapy is to destroy nicotine before it reaches the brain. Further research is still needed before a possible treatment is ready for human testing. While NicA2 does not appear to produce any toxins when it reacts with nicotine, there are still possible immune reactions it could trigger if introduced to a person. The next step for Janda and her team is to make the enzyme more compatible with the human body while also improving its effectiveness. Although numerous anti-smoking treatments are currently available, they fail in roughly 80% of cases. When properly developed, enzyme therapy is hoped to be more successful by depriving smokers of the pleasurable effects of nicotine so integral to cigarettes’ addictiveness. Scripps Research Institute. 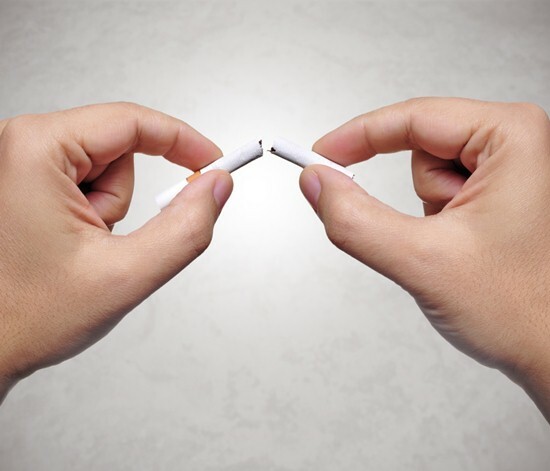 “Nicotine-chomping bacteria may hold key to anti-smoking therapy,” ScienceDaily web site, August 6, 2015; www.sciencedaily.com/releases/2015/08/150806160954.htm. Song X. et al., “A New Strategy for Smoking Cessation: Characterization of a Bacterial Enzyme for the Degradation of Nicotine,” Journal of the American Chemical Society, 2015; http://pubs.acs.org/doi/abs/10.1021/jacs.5b06605, 150806132815001 DOI: 10.1021/jacs.5b06605.